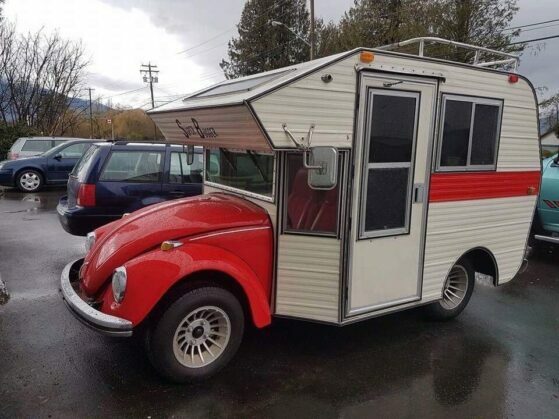 Known as the Super Bugger or the Bug Camper, this unusual vehicle was a cross between the Volkswagen Beetle and an RV. It was the brainchild of a third party company who constructed and sold it for a cool $6,000 in 1975. They used fiberglass paneling to construct a small living space behind the two front seats. One couple, who have since maintained their Volkswagen Beetle camper, showed it off at a car show in 2016. As you can see below, it has a tiny interior and only a modest kitchen inside – no space for a bed. But who would want to sleep in such an exciting car…?